PCD Franchise for Sedative Drugs – Biofield Pharma is one of the best manufacturer and marketer of a quality range of central nervous depressants/ tranquilizers products. The wide range of medicines covers Tablets, capsules, syrups, and injectables that further covers the drug market of tranquilizers and therapeutics. The company invites dedicated pharma dealers and professionals for PCD Franchise for Sedative Drugs or anti-depressant. We are an ISO certified company that adheres to WHO-GMP and DCGI like global standards for manufacturing the quality medicines. Sedative medicines are widely used for therapeutics and surgery purposes across India. The demand is rapidly increasing over time. So, you can grow by investing money in PCD Franchise for Sedative Drugs. The company offers exclusive rights of distribution with certain marketing tools for a better franchise business. You can expect good profit with genuine investment. Our professional team is dedicated to formulating innovative and effective drug solutions for better relief. We assure on-time delivery of medicines. 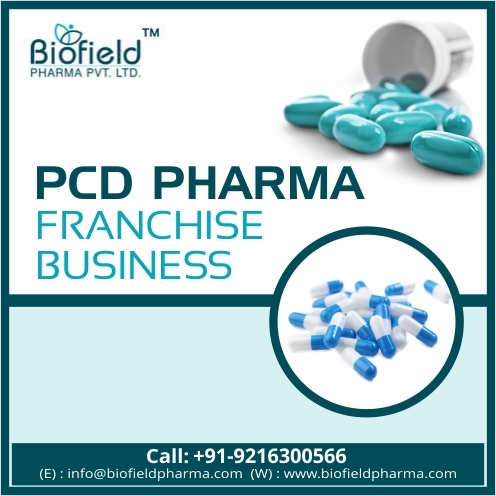 If you are searching for PCD Franchise business for investment, then Biofield Pharma provides the best facilities. To know more about PCD Franchise business call us at +91-98884-21594 or +91-9216300566. We offer attractive promotional tools for the franchise business. You should be registered on GST Number. What are Sedative Drugs and its Scope for PCD Franchise? Sedative drugs are also known as anti-depressant or Anxiolytic, hypnotics, Soporific depending upon the purpose of their use. These medicines are used to induce sleep or deaccelerate the brain activity for the patients that are suffering from anxiety or irritability. To reduce the anxiety of patient in operation, doctors use these medicines as anesthesia while operating. These medicines have safe effects that rise its demand in the market. So, the investment in PCD Franchise for Sedative drugs can bring you a good source of income. Biofield Pharma offers the best business opportunity in the fastest growing sector of PCD Franchise for Sedative medicines. Tranquilizers have been used widely in emergency cases, surgery drugs, sports medicines, critical care range etc. They have been covering a wider scope range for PCD pharma franchise distributors across India. Biofield Pharma has dedicated a large portion of its studies in bringing safe yet effective sedative range that is well prepared under the guidance of experts. Biofield Pharma provides the medicines at genuine rates for pharma franchise business. Our manufacturing unit adheres to global standards for the quality production of medicines. For us, Quality is not just a word, but it is the base of our company. We are dedicated to providing the best health products with positive attributes. We are the best company to provide you with the quality products for PCD Pharma Franchise Business. You will definitely earn money and good experience while working with us. Given below some benefits of choosing Biofield Pharma for Pharma Franchise. Join Biofield Pharma for the better business in pharma franchise for ethical and transparent deals.